MANILA, June 27 -- Although he has yet to review Pres. Rodrigo Duterte’s first year in office and give a definite grade, a senator on Tuesday said that he would definitely give the chief executive a passing grade. 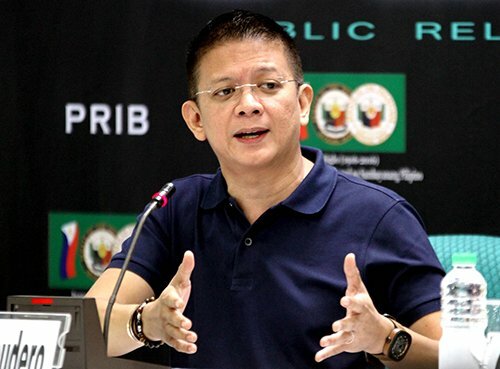 "It's too difficult to give a grade," Sen. Francis Escudero said in a TV interview. "I have to see all the data first with respect to what has happened to the economy and all sectors of the society before being able to come up with a definite grade. But definitely it is passing and not failing," he added. Escudero said Pres. Duterte still had to change his "brass rhetoric”" but noted that it has improved "a little bit". "…He should get used to that. We have to get used to his brass rhetoric. But for the past few months, he does mellow down a little bit. So I think, as we get used to him, he's getting used to it as well," Escudero said. Because the international community is paying attention, Escudero said the President should be wary of his words. "…Anything that flows from his mouth is actually not only national but international news as well," he added. Duterte marks his first year in office on June 30.